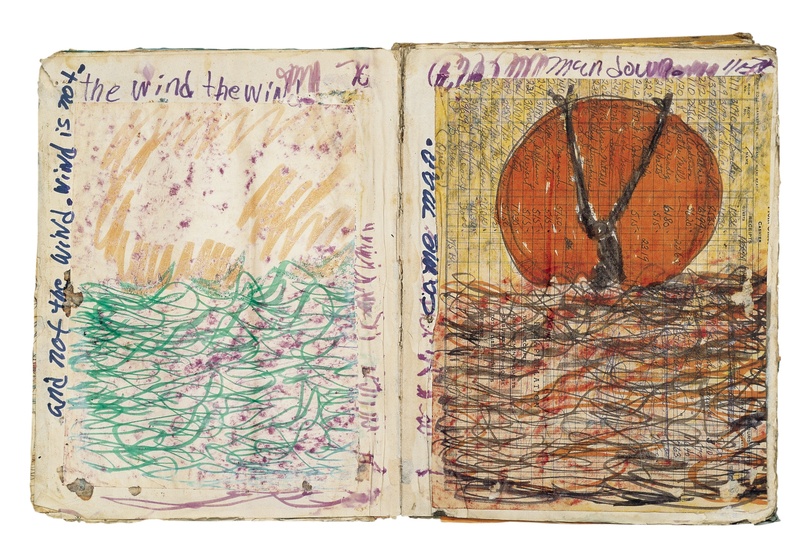 In 1980 Purvis Young assembled a book of ninety drawings executed during the previous four years. In 1980 Purvis Young assembled a book of ninety drawings executed during the previous four years. Each work depicts an aspect of the sea: tossing waves, boats, drowning sailors and refugees, sunsets, the moon over the water. Many of the drawings contain captions; the cover is inscribed "sun and my mind."